Recipes cutlets for a couple quite a lot. After all, the task of the hostess to make diet dish is not only healthy, but tasty, to make it like homemade. Burgers made not only from meat, chicken and fish, but vegetables. - salt, pepper – to taste. Bread cut into slices and pour the milk. Meat and onions skip through Mincer. Once the milk is absorbed, squeeze the bread a bit and skip along with the resulting meat through a meat grinder again. Add eggs, chopped parsley, salt, pepper, all mix well and beat. To form small patties, place in a steamer and cook for 20-30 minutes. Carrots grate on a coarse grater, onion cut into small cubes. In a pan pour vegetable oil and put on fire, allow to heat up, put back the onion and carrots. Fry for 3-5 minutes and cool. Rinse the chicken under cold water, cut into slices and grind in a meat grinder. Add the egg, carrot, salt, pepper and knead all until smooth. Hands to moisten with water, from the meat to separate small pieces and form patties. Steam for 15-20 minutes. - salt – to taste. Boil potatoes in their skins, cool, peel and grate on a grater. Carrots and beets wash, peel, grate on a fine grater and squeeze to release excess juice. Onion finely chop and mix with potatoes, beets and carrots. Semolina pour a small amount of boiling water and allow to rot and then add to the vegetables, season with salt. You can add spices to taste. Mix well. 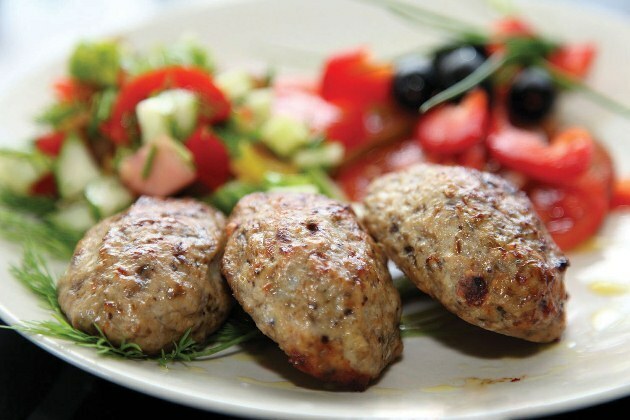 From minced meat to make meatballs, place in a steamer and cook for 25 -30 minutes. Vegetable cutlet serve with sour cream. To cook the patties for a couple possible, even if no crock pots or steamers. You can use a special stand with holes for steaming, but you can do without it. To do this in a deep pan or low pot to pour a couple of glasses of water on top to put a metal colander (or sieve) to make sure the bottom of the colander does not touch the water, to put on his burgers, and cover it with a high cover or metal bowl. If the sieve or grid is not at hand, chicken can be put in a pan with high edges and thick bottom, add a little water to it did not cover them completely, cover with a lid and cook on very low heat.